A short journey from Brisbane to Tamborine Mountain in the Gold Coast hinterland takes you to boutique wineries in a magnificent rain forest setting. 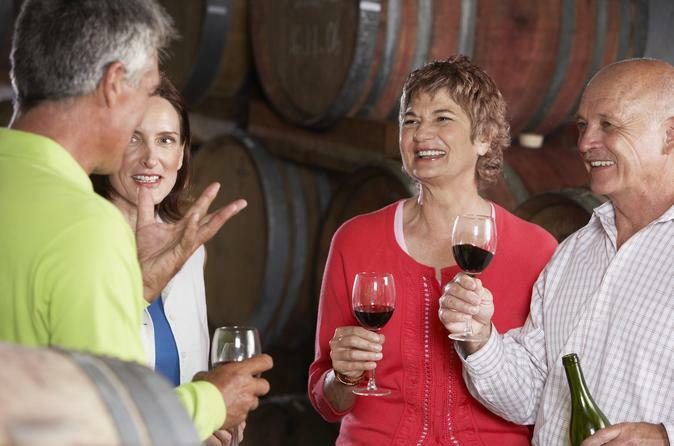 This half-day tour visits two wineries and the Tamborine Mountain Distillery, and allows time to browse for arts and crafts along the Gallery Walk, considered one of Queensland's best shopping attractions. After pickup at the designated location in Brisbane, travel about one hour to reach Tamborine Mountain, which is situated in the spectacular Gold Coast hinterland. Stop into two of Tamborine Mountain's award-winning wineries for wine tastings, and sample fine spirits and liquors during a tasting at Tamborine Mountain Distillery. You can go to additional tasting rooms (cellar doors) along the Gallery Walk while shopping for crafts or souvenirs. At the Cedar Creek Estate Winery, sit down for a Devonshire tea, which consists of tea or coffee with scones, jam, and cream. After 4.5 hours, your tour ends with return to your starting point in Brisbane.